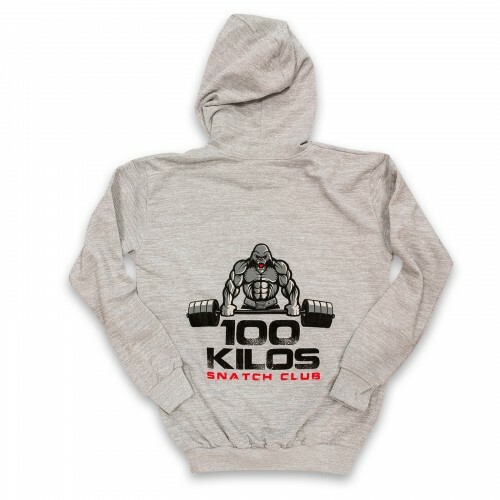 Crew neck sweat, ribbed wrists and waist. 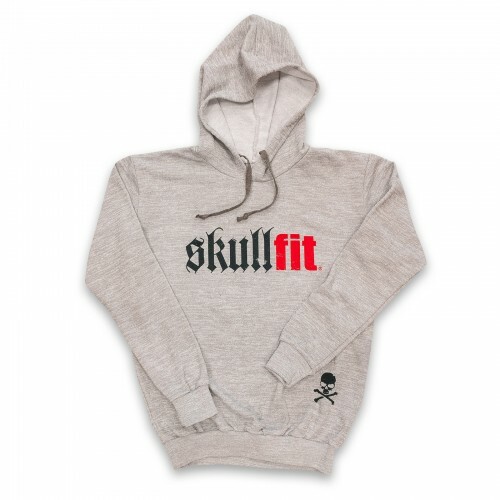 The logo in white and red is featured on the front on the bottom left, and an image with the wording "Skullfit est.2014" in white, is featured at the centre. 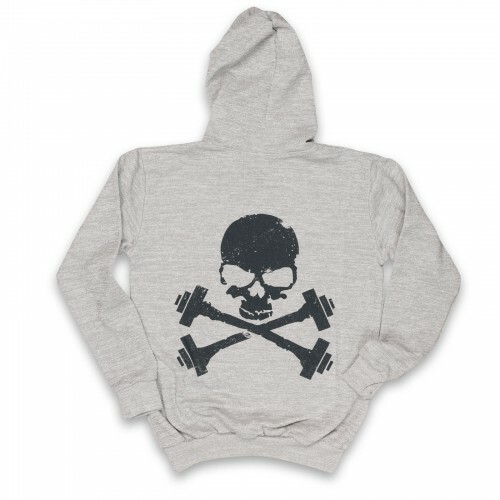 The skull is featured on the back of the sweat in white. 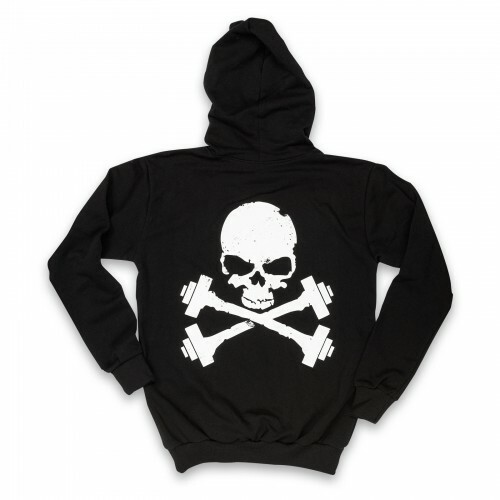 Crew neck sweat, ribbed wrists and waist. 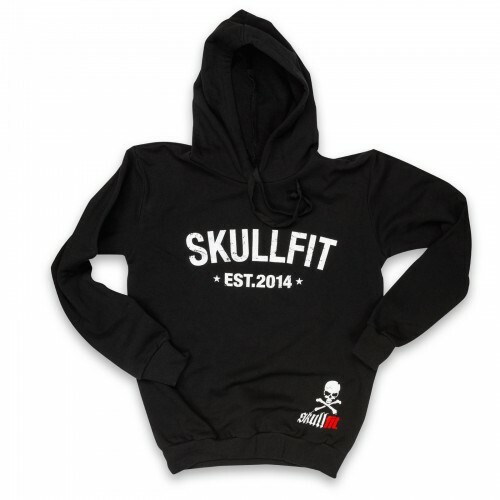 The logo in dark grey and red is featured on the front on the bottom left, and an image with the wording "Skullfit est.2014" in black, is featured at the centre. 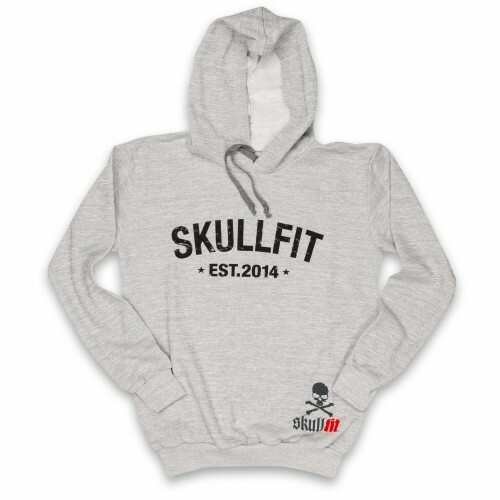 The skull is featured on the back of the sweat in dark grey.